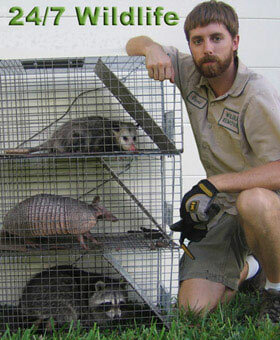 ATL Wildlife Removal: We operate in greater Marietta, GA and specialize in nuisance wildlife control. If you need mouse or rat control in Marietta, we offer a complete solution with full guarantee on our work. We commonly deal with problems such as raccoons in attics, squirrels in the ceiling, rats in the walls, snake removal and control, bat control, and more. We are the best Marietta extermination company available when it comes to wild animals. All of our wildlife trapping is performed in a humane manner. We never intend to harm any wildlife only to safely and permanently remove it from your home or business. Once animals are caught, we quickly arrive to remove the animal, and relocate it approximately 30 miles outside of the Greater Marietta area. We service most of Marietta and central Georgia and Colb County, and do most of our business in Marietta and surrounding towns, such as Alpharetta, Marietta, Sandy Springs, Smyrna, Mableton, Tucker, Lawrenceville, Athens, and more. We take pride in operating as a small, owner-operated company within Marietta, and we stand by our work. If you need animal trapping services in Marietta or any part of Colb County, GA give us a call, and we will be happy to assist you. We specialize in both residential and commercial services, and accept all major credit cards. There is no free wild animal removal service in Marietta, but we will provide a professional service at a fair price.